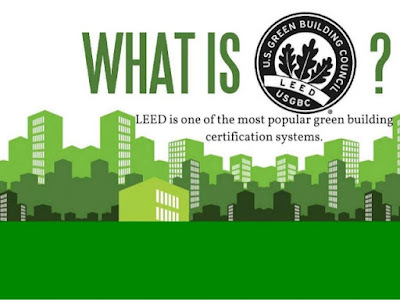 LEED or Leadership in Energy and Environmental Design is one of the most well-known and widely used green building certification programs in the world today. LEED building is not only beneficial for the environment, it likewise offers a number of advantages to the homeowner. LEED Building: What Is It? Let's Learn (Green Living). As the green building movement became more and more popular these days, GreenStar, LEED, BREEAM, and many other rating systems have also come to the surface. Many local, state and national governments across the world have adopted the green building concept. Some of them even provide various incentives for its widespread development. Because of this, many developers from the private sector, public agencies, and institutional owners have also accepted the concept of green buildings. With the number of rating systems available today, the Leadership in Energy and Environmental Design rating system is considered as the game changer. Since the first decade of the 21st century, buildings and homes that were built in accordance with the LEED rating system had offered a great impact on the reduction of water consumption, material use, and CO2 emissions. The Leadership in Energy and Environmental Design or LEED is among the most commonly used green building certification programs or rating systems in the world. It was developed by U.S. Green Building Council (USGBC), a non-profit organization that was established in 1993. LEED is now recognized globally both as a symbol of excellence and as an international standard for green or environmentally sound buildings. It includes specific rating systems not only for the design of the green homes, buildings, and neighborhoods but also for their construction, maintenance, and operations. LEED was devised to help building operators and owners become more environmentally responsible and to help them utilize all sorts of resources more efficiently. Why build a LEED building? The earth is no longer as sustainable as it was a few decades ago. This is a fact almost all people in the world are already aware of. While many companies and government agencies are already doing their share to sustain the environment, there are also countless of private individuals today who take their part in the green movement campaign. One of the things that many people do to help save the earth is to build green houses and to live an eco-friendly lifestyle. But a LEED certified home is not only about sustaining the environment, it also includes improving the way of living of the homeowner. Because a home constructed to LEED certification standards provides a better quality indoor atmosphere and a healthier overall environment, you are sure that you and your family will become healthier and safer against all kinds of harmful contaminants that may cause illnesses. The enhanced ventilation system also helps you feel better and enables you to breathe easier. One other reason why you should build a LEED building is that it is much more valuable than a typical and conservative home. If you need to put it on the market, you will also be able to sell it faster than an ordinary home. Apart from that, a LEED home can also help you save money by reducing up to 30% energy consumption and water usage. Its maintenance costs are also lower compared to a home built to the International Energy Conservation Code.